Posted January 17, 2014 by Eric Graham . In the last few years, with the rise of digital marketing, direct mail has been viewed as a less than critical element of an integrated marketing strategy. It has also been perceived by many as nothing more than coupon mailers. However, for small, service-based businesses, targeted direct mail continues to be a powerful tool to reach and attract new customers, set yourself apart from the competition, and build long lasting relationships. The infographic below shows that direct mail is still the best way to reach your target audience and gain their attention, increasing the likelihood that they’ll become customers. 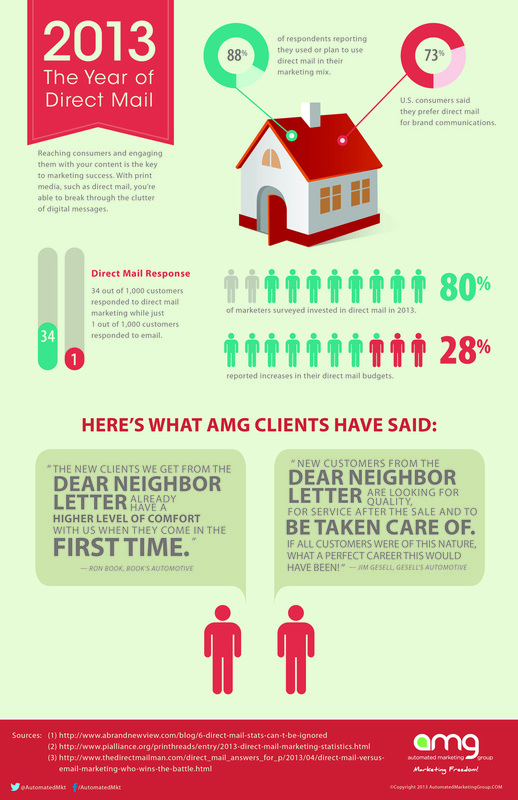 To learn more about AMG and our approach to direct mail for small businesses, contact us today.